Original Scraper Bikes: (CBS-5) "Eye On The Bay"
(CBS-5) "Eye On The Bay"
CBS - "Eye On The Bay" recently did a segment based on bicycles in the Bay Area. 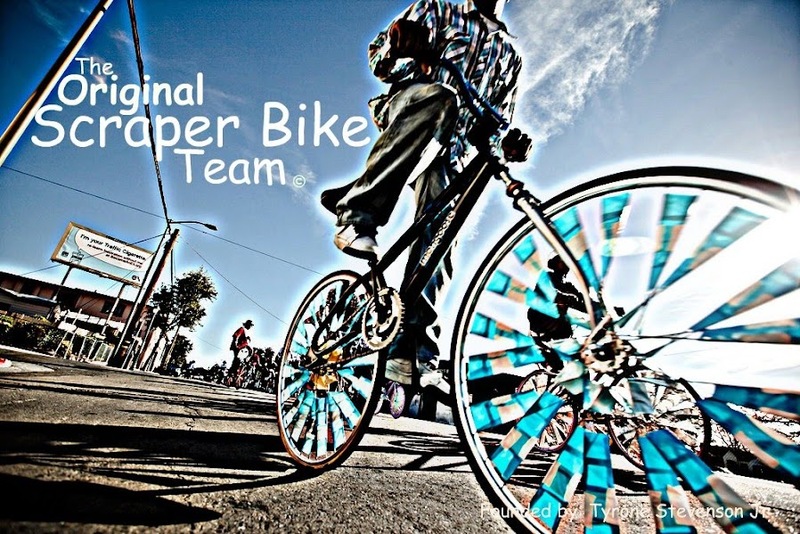 Needless to say, The Scraper Bike Team was on the list to represent the culture of East Oakland bicycling. You guys are awesome and an inspiration! My name is Robbin Rae I am a film student at New York University, Tisch Asia. I am from Oakland (use to teach at McClymond's) now living in Singapore for the duration of this film program. Over the Christmas holiday I have an assignment to film a mini observational documentary (5-7minutes), I will be in Oakland Dec 22-Jan 12. I am interested in focusing on the Scraper Bike Movement, however I am aware the movement has received a lot of press already. I have seen the videos/interviews and articles that have been done, my assignment is a bit different, I am to simply observe without interviews or people talking to the camera, to illustrate to the audience a way of living. If this seems something that may be doable, please contact me ASAP via e-mail so that we may continue conversation.